What is Off-Page SEO & Why Is It Important? In my last post I talked about on-page search engine optimization (SEO) and why it’s important if you want to help readers find your website. Now let’s take a look at off-page SEO. What exactly is it? 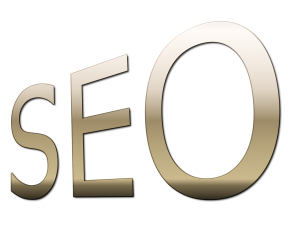 Off-page SEO is anything you do that helps position your page higher in search engines without doing anything directly to your website code. Higher search engine rankings means more people will find your site and drive more traffic to it. Let’s break down some ways you can help boost your page by off-page SEO. The first strategy I would recommend is link building. Link building is the act of building external links to your website. Sounds easy enough? Well, it’s not. There are lots of ways to do link building but the two best are building natural links and guest blogging. Natural Links. The best way to get a natural link is to have other websites or blogs put a link to your site on theirs. You can foster this relationship with other websites or blog owners by linking to their articles that you find relevant and interesting for your readers. Guest Blogging. You can be a guest blogger to another site, though you will want to do this selectively and you don’t want to do it just for links back to your site. As I mentioned in the on-page blog post, people have been trying to game the search engine algorithms and “guest blogging” was one of the ways people did it. Guest blogging is something that should be done, but it needs to be a legitimate guest blog and not just throwing something on a site so you get a link back to your site. Link building is perhaps the most important way to boost your off-page SEO. By now, everyone has a Facebook page or a Twitter account and your business should be no exception. But, did you know that social media can help boost your off-page SEO tremendously? If you’ve already created social media pages for your website, great. Be sure to interact with people who visit your social media profile and post often. I recommend businesses figure out where there customers spend time and build a social media presence there. If your customers are consumers, your should probably be looking at Facebook, Twitter, and possibly Pinterest. If your customers are women, you should definitely be on Pinterest. If your customers are primarily businesses, you should probably be considering LinkedIn and Twitter. If your customers are younger consumers, you need to consider Instagram and Snapchat. Wherever your customers are, you should consider Google+. While Google+ isn’t nearly as popular as they had once hoped, Google still gives credence and authority to sites it owns so it will help you with your SEO. Do you have a blog for your website? You should. I strongly recommend you have a self-hosted WordPress blog. Blogging is a great way to promote your website and for optimizing it’s search engine results. It allows you to interact with people interested in your site and gives them a reason to come back for more. Also, by posting blog content, search engine crawlers have to check your site more frequently to keep up with new posts; this helps you rank higher in the search engine result pages. Check out my article on some tips to writing a good blog post. Optimizing your website for search engines is an important aspect of getting your website ranked higher (and found by your audience), and off-page SEO is just as important as on-page SEO. When you are producing great content that your audience wants to consume and share, you’ve made a good first step to being found by the search engines. By being mindful of on-page and off-page SEO strategies, you will definitely increase your chances of being found by your audience. And remember, people do business with people they know, like and trust. If your audience has a chance to get to know, like and trust you through your website, chances are it will be much easier to convert them from a reader to a customer. If you have questions about on-page or off-page SEO, please email me. I’m happy to help anyway I can.